The figure depicts a South Asian Buddha standing with arms outstretched and has a weathered appearance. 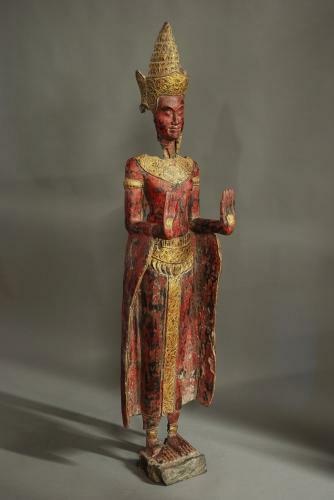 The carved wooden figure has been finished in a red and gold paint and is worn in places. This figure is good condition and would be a super statement piece.